Internet Explorer is a series of graphical web browsers developed by Microsoft and included as part of the Microsoft Windows line of operating systems, starting in 1995. It was first released as part of the add-on package Plus! for Windows 95 that year. Later versions were available as free downloads, or in service packs, and included in the Original Equipment Manufacturer (OEM) service releases of Windows 95 and later versions of Windows. 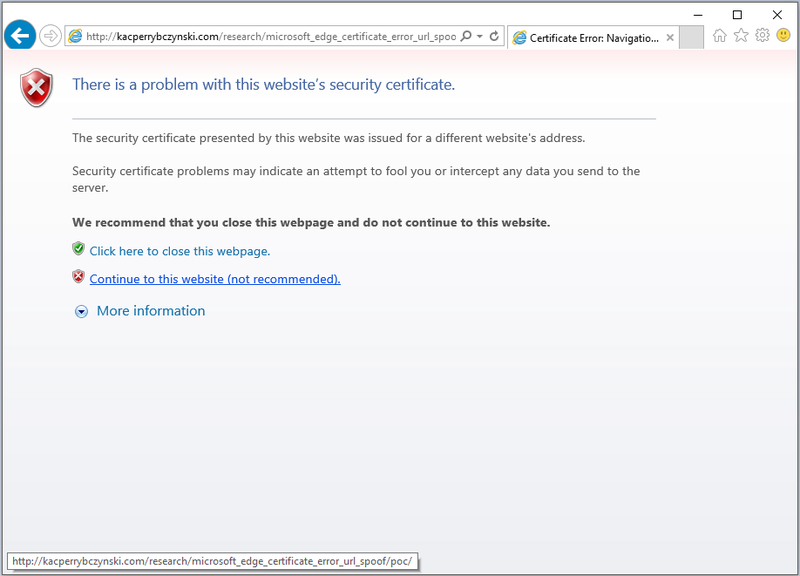 Error concerning the certificate but occurs in another domain (not http://kacperrybczynski.com/), but where?? The browser interprets headers first, then current url and more... Spoofing works when in response Edge/IE receive "Location:" parameter, (HTTP 302). How it can be used in nature? 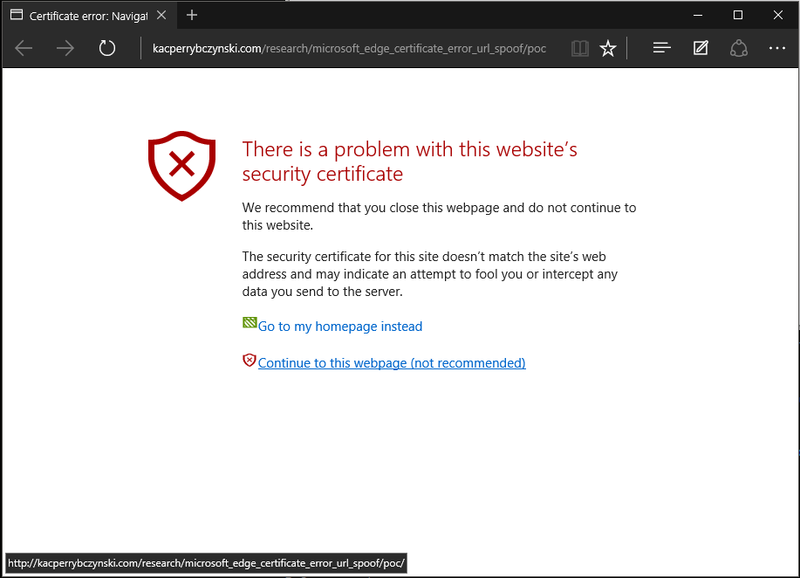 Simply by using Open Redirect vulnerability or HTTP Response Splitting to trick victim to accept unsecure certificate by the trust to domain visible in URI.